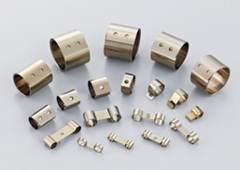 Ming Tai Industrial Co., a leading of global manufacturer of steel strip spring, introduced its constant force spring product series for carbon brush application. Constant force springs are used for motor brush springs. 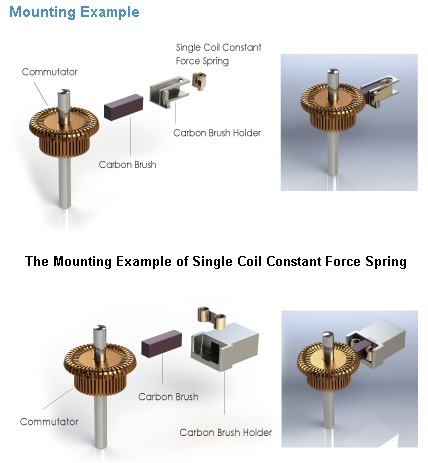 Constant force springs are specially constructed to provide the ideal method of ensuring consistent, dependable pressure to electric motor commutators, we can provide you both single coil constant force springs and twin coil constant force springs for carbon brush. 1. Constant pressure for commutator in any brush length. 2. Increases brush life, reduces electrical wear. 3. Compact design for overall motor size. Ming Tai Industrial Co., Ltd, is a professional manufacturer of steel strip spring. The company was founded in 1963; therefore, we have 40 years of world class manufacturing. Today we have factory area of approximate 5600 and equipped with special precision machine to support our production. We import steel-strip for spring from many countries and do processes include slitting heat treatment edge trimming and forming that we can keep the high quality in our production. Company Name: Ming Tai Industrial Co., Ltd.